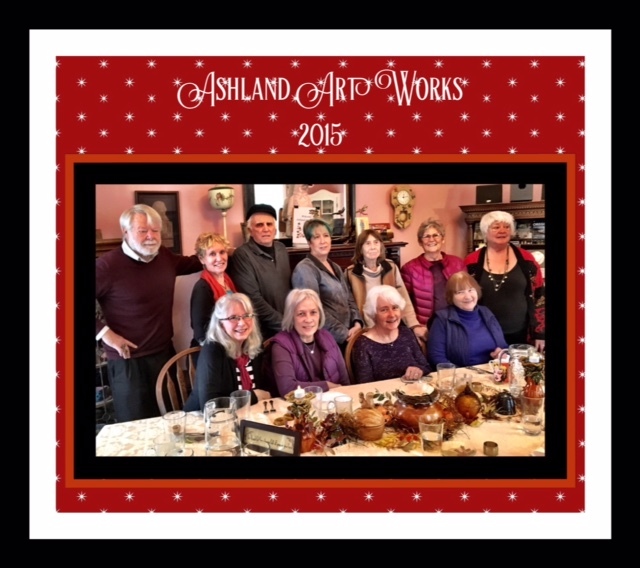 Ashland Art Works artists at potluck. Gallery will be closed the month of January 2016 for renovation and renewal. No First Friday in January. See you February 1st… hours Thurs, Fri, Sat, Sun, 11-3. ←Previous Post: Let it snow… let it snow!